This bag collects grass clippings that blow from below the mower deck. Includes One (1) Lawnmower Grass Bag as picturedItem Specifications. We are a Toro Master Service Dealer. PART # 115-4673. Kohler Expert Dealer and a. FITS THE FOLLOWING MODELS. Part Number: 964-04117A, 96404117A, 964 04117A. 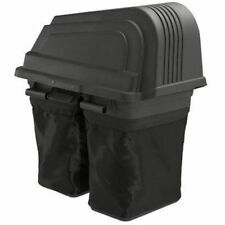 Includes One (1) Lawnmower Grass Bag as picturedItem Specifications This bag collects grass clippings that blow from below the mower deck. Grass bag 964-04007A collects grass clippings that blow from below the mower deck. All proceeds benefit the Cadiz Food Pantry. We are a Toro Master Service Dealer. PART # 121-5770. Briggs & Stratton Diamond Dealer. Kohler Expert Dealer and a. 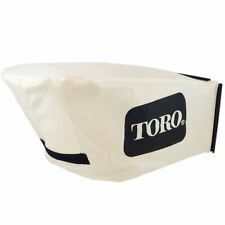 NEW GENUINE OEM TORO GRASS BAG FOR TORO RECYCLER LAWN MOWERS. We are a Toro Master Service Dealer. PART # 115-4664. Kohler Expert Dealer and a. NUMBER 1 IN ILLUSTRATION. GENUINE OEM MTD, TROY BILT. MTD Part Numbers MTD Models WE ARE A CERTIFIED MTD DEALER! CRAFTSMAN PUSH MOWER GRASS "BAG ONLY". Part Number 59312. Toro: 59312. Manufacturer Toro / Lawn Boy. Toro assembled kit comprising of the following parts. 115-4673 - Cloth. This bag is compatible with the below models FOR SERIAL NUMBERS. TB110, TB210, TB260, TB280ES, TB130, TB230, TB280. 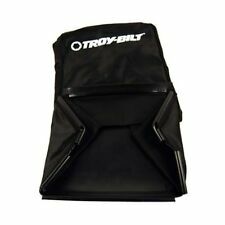 NEW OEM MTD / Troy Bilt Grass Catcher Bag. Used on these Models. NOT all rack and bags will fit all mowers. To help us both out. Grass bag 964-04154A collects grass clippings that blow from below the mower deck. 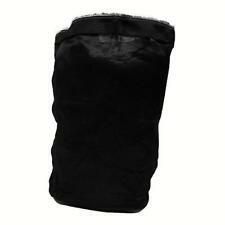 Replaces original lawn mower grass bag part 964-04154. 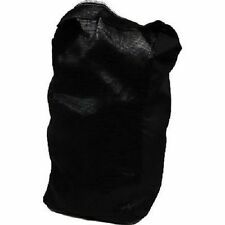 Craftsman 964-04154A Lawn Mower Grass Bag. CRAFTSMAN,MTD. Trending at $36.65eBay determines this price through a machine learned model of the product's sale prices within the last 90 days. 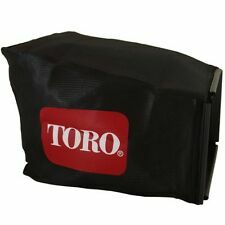 NEW GENUINE OEM TORO GRASS BAG. We are a Toro Master Service Dealer. REPLACES THE FOLLOWING NUMBERS CLOTH BAG ONLY. PART # 107-3779. Trending at $56.73eBay determines this price through a machine learned model of the product's sale prices within the last 90 days. 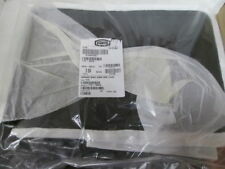 Genuine Original MTD GRASSBAG ASM-21" T Part # [MTD][964-04117B]. PART # 59301. We are a Toro Master Service Dealer. WORKS WITH THE FOLLOWING MODELS Kohler Expert Dealer and a.
Genuine Original MTD FRAME ASM-GRASSBAG Part # [MTD][647-04271-0637]. Brand New Genuine Honda Grass Bag... Grass Bag Genuine Honda Part # 81320-VG4-010 Fits Specific Honda HRR216, HRR216K2, HRT216, HRT216K1, HRT216K2 and HRZ216 Model Mowers Sale is for Grass Bag ONLY Genuine OEM Honda Part. 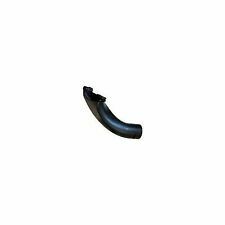 · Genuine Husqvarna Part # 581002112. 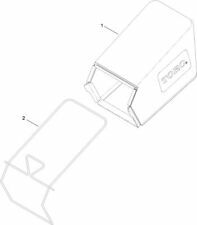 · Fits Specific Husqvarna Models That Require This Part #. · Genuine OEM Husqvarna Part. HUSQVARNA OEM 585054702, 532419951 FRAME. 22". OEM- ORIGINAL EQ. MFG. HUSQVARNA OEM 585054702 REPLACES 532419951. 5 out of 5 stars - HUSQVARNA OEM 585054702, 532419951 FRAME. 22". OEM- ORIGINAL EQ. MFG. 1 product rating1 product ratings - HUSQVARNA OEM 585054702, 532419951 FRAME. 22". OEM- ORIGINAL EQ. MFG. Trending at $24.27eBay determines this price through a machine learned model of the product's sale prices within the last 90 days. Discription: Grass Bag. Replaces: MTD 764-0221 964-0221. 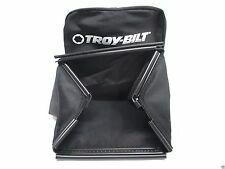 For twin bag catchers on 500 series rear engine riders and 400 & 600 series front engine tractors. These fit the HRX217 K2 to K5 model of Honda mowers. Here is an used Toro Recycler rear grass catcher bag. Weights 4 lbs 2 ounces. GREAT PRICES • SELECTION • SERVICE. You are looking at a new (OEM) Original Toro / Lawn Boy Part. Manufacturer Toro / Lawn Boy. Toro: 114-2664. BE SURE THIS IS WHAT YOU NEED BEFORE BUYING! We try to work with everyone to fix any problems you might encounter. You are looking at a new (OEM) Original Toro / Lawn Boy Part. Manufacturer Toro / Lawn Boy. Toro: 107-3785-03. Model: 20377 (22in Recycler Lawn Mower). Model: 20378 (22in Recycler Lawn Mower). Model: 20331 (22in Recycler Lawn Mower). Model: 20370 (22in Recycler Lawn Mower). Model: 20330 (22in Recycler Lawn Mower). 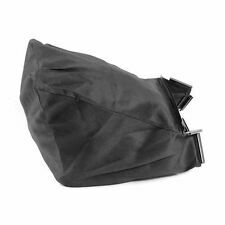 Husqvarna Lawn Mower Grass Bag HU700H/ 580943407, 580943404, 532422517. Cloth # 81320-VH7-D00. LAWNMOWER HRX217K4. LAWNMOWER HRX217K3. 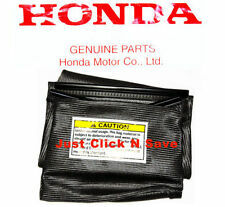 Brand New Genuine Honda Grass Bag... Fabric Grass Bag Genuine Honda Part # 81320-VK6-000 Fits Specific Honda HRC216K2 and HRC216K3 Model Mowers3 Sale is for Bag ONLY Genuine OEM Honda Part. ITEM IS NEW WITH ONLY STORAGE MARKS. BE SURE THIS IS WHAT YOU NEED BEFORE BUYING! We try to work with everyone to fix any problems you might encounter. Fits John Deere: 737, 757, 777, 797 Z-tracs with 3-baggers. Brand new Murray BAG, GRASS CATCHER for push lawnmowers. Part number 672575. Fits model 21875X51A and possibly others. It is a little dusty from sitting on the shelf for years. Please be sure it is the correct part for your application PRIOR to purchasing. See pictures for more details. 2-Black Grass Bags. Fits John Deere D100, D105, D110, D120, D130, D140, D150, D160, D170. Z225, Z245, Z425, Z445. X110, X120, X125, X140, X145, X165. LA135, LA140, LA145, LA150, LA155, LA165, LA175. 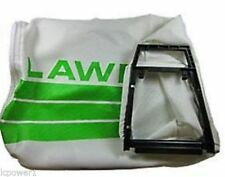 Genuine Craftsman Lawn Mower Grass Catcher Bag 2.0 Bu. Condition is Used. Shipped with USPS Priority Mail. HUSQVARNA OEM 580947315 GRASS BAG. GREY/SILVER.